Milagros Figuero has long been the heart of her family. As a young woman in the 1960s, she was at her husband’s side helping to run the family farm on a plateau along Spain’s Duero River in the now-famous Ribera del Duero region, where the main crop is the Tempranillo grape. With her husband, Jose Maria, Milagros cared for the old grapevines that were planted by his ancestors -- some dating back to the 1930s and many well over 60 years old. By the late 1970s, the Figuero grapes quickly became prized by the most prestigious wineries in the region, and the wines containing their grapes often were gold-medal winners, drawing accolades and attention to both the wines and the region. During this time Milagros was also raising three children – Carlos, Henar and Antonio. Like most mothers, she lovingly tended to them as she would the precious vines that were the family’s livelihood. By the 1980s, she was sending them off to university to make their own ways in the world. 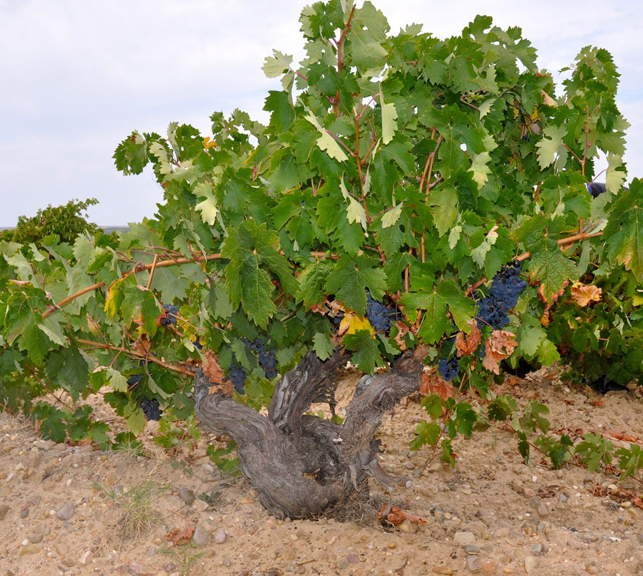 When the children (now young adults) returned, they came back with a plan to use their superior grapes to make their own family-branded wines. 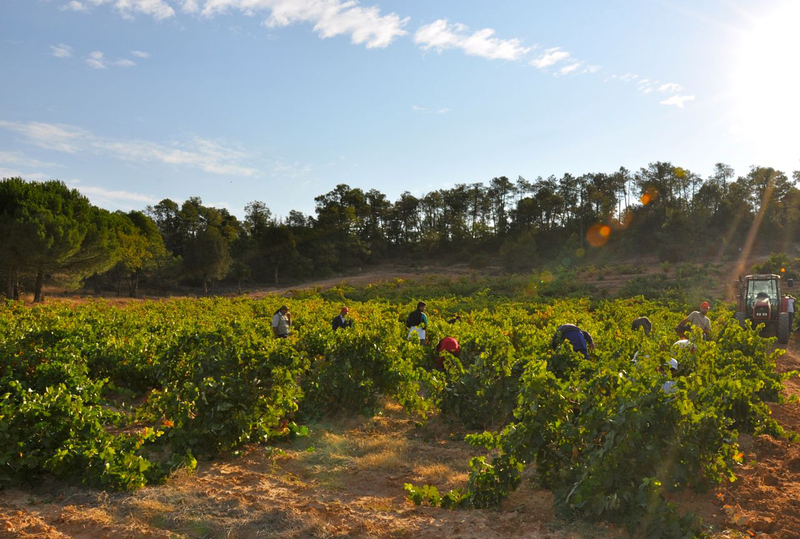 Thus, in 2001, a winery and tasting room was opened on the farm, near the town of La Horra. 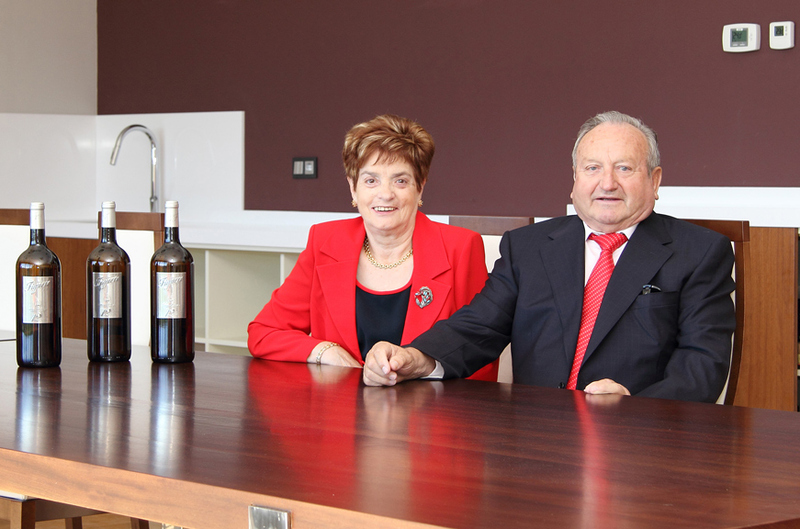 A year later, the first vintage of the family’s namesake wines went to market. Per tradition, Milagros and Jose Maria often welcome their children, and now grandchildren, to the Sunday afternoon meal. As summer approaches, it is usually served on the picturesque veranda of the farm and winery complex that has expanded over the past 13 years as Vinedos y Bodegas Garcia Figuero has grown increasingly successful. It is a real treat for the family when that meal includes Milagros’ variation on a local favorite – milk-fed baby lamb, as tender as veal, cooked in a clay pot in a special brick oven. The meat is roasted with lard and salt, but then basted with a sauce Milagros creates with water, garlic, parsley, juice from a freshly squeezed lemon and a very special thyme that comes from the forest just outside La Horra. This is usually served with a leavened wheat bread called Torta de Aranda, which is the name of another, smaller town that is very close to the winery. The secret ingredient is the addition of what is known as masa madre in Spain. Translated as “mother mass,” it is a sweet wort made from scratch by each cook, with a bit kept to be used in the next batch produced. A sourdough starter would be a good U.S. substitute. 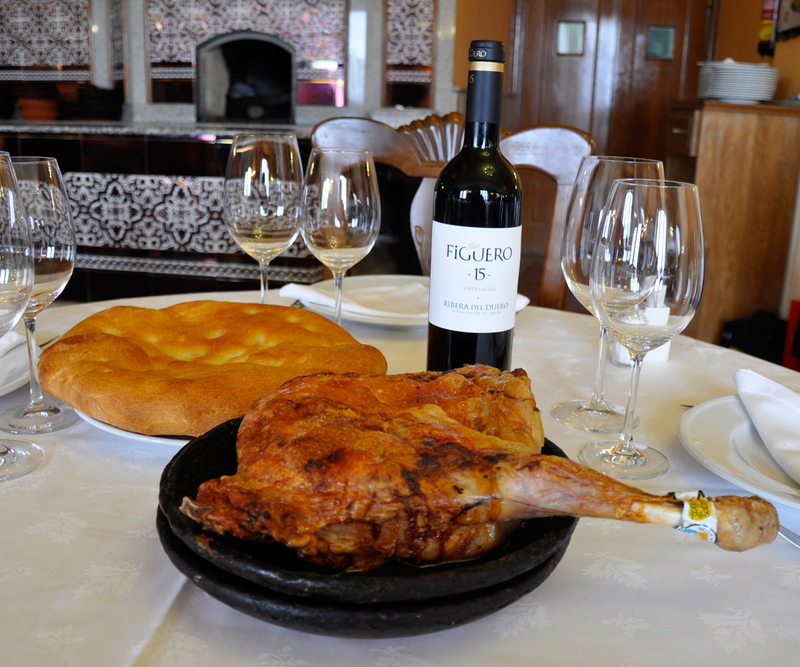 This meal pairs perfectly with the family’s Tinto Figuero 12 Month (the amount of time this Tempranillo wine spends in oak barrels – it is also known by the Spanish government’s official designation “Crianza”). Most often, it is a mother’s nurturing (and her cooking) that binds a family, whether along Spain’s Duero River or St. Louis’ Mississippi. With Mother’s Day approaching, we salute Milagros' (and all mothers') often unheralded, but also greatly cherished, efforts.